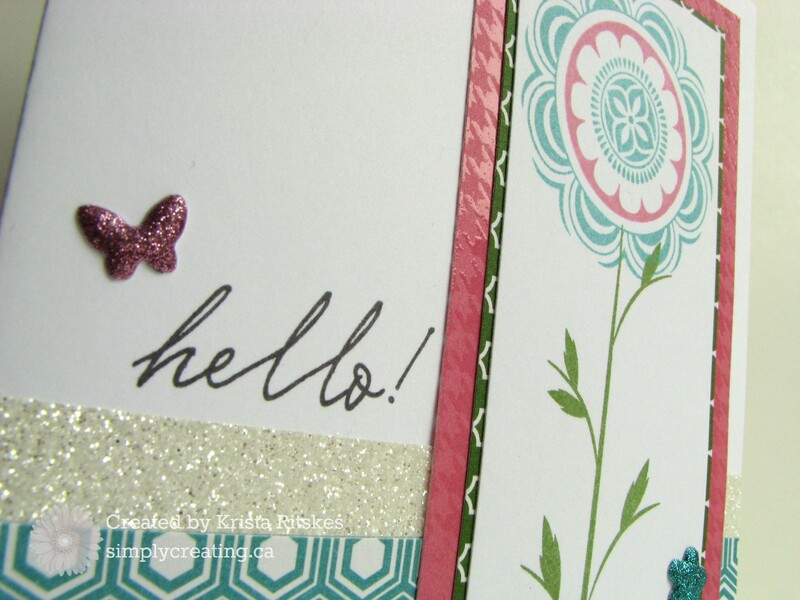 Another Stamp of the Month card: Hello! 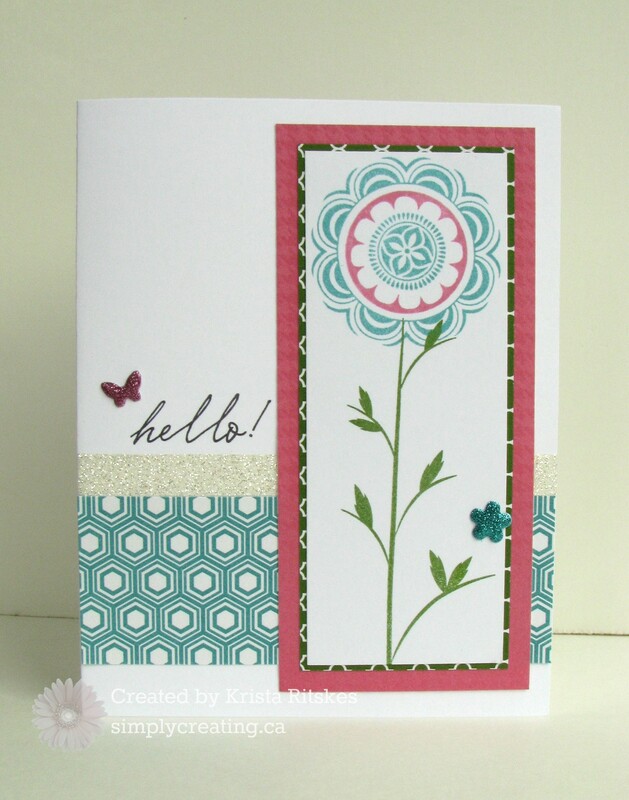 I promised one more card made with the February Stamp of the Month, A Happy Hello. Here it is. I added some Junebug Puffies and White Shimmer Trim to this one. Again, made only with Paper Fundamentals and White Daisy cardstock. Don’t forget that this stamp set is only available until the end of the month. Place an order of $50 and get it for $5, or pay full price ($19.75).